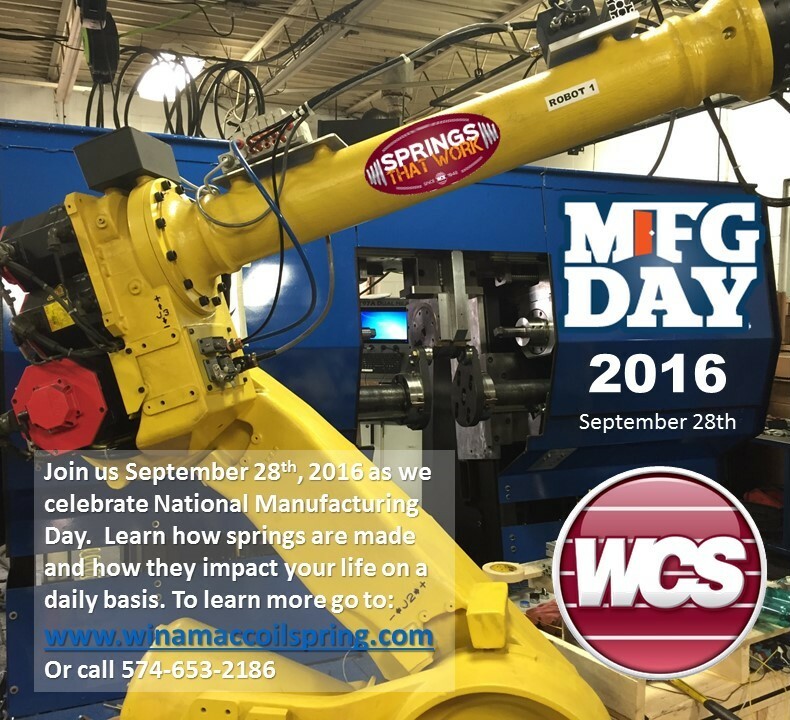 Winamac Coil Spring is pleased to announce they will be hosting a National Manufacturing Day Event on Wednesday, September 28th, 2016 at their Kewanna, Indiana location. Registration for the event will be opened starting in August and will include local schools, businesses, family members and the general public. Stay tuned for more information on this fun and exciting event.